The first thing I have got to say is THANK YOU CARL. Carl M0SER gave up two days of his time to help man the Morse Crusade stand, and although I said help, with my other commitments at the National Hamfest Carl done most of the work on the stand. 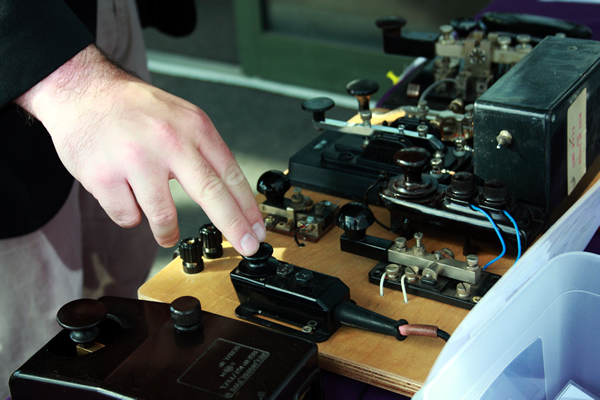 We had a lot of interest and I had brought my selection of Morse keys for the visitors to play with, we had some serious conversation about Morse including one visitor setting up my Marconi 365A to the same standard that he used on his own 365A as a Radio Officer in the Merchant Navy including thin piece of paper between the back contacts to dampen the clicks. 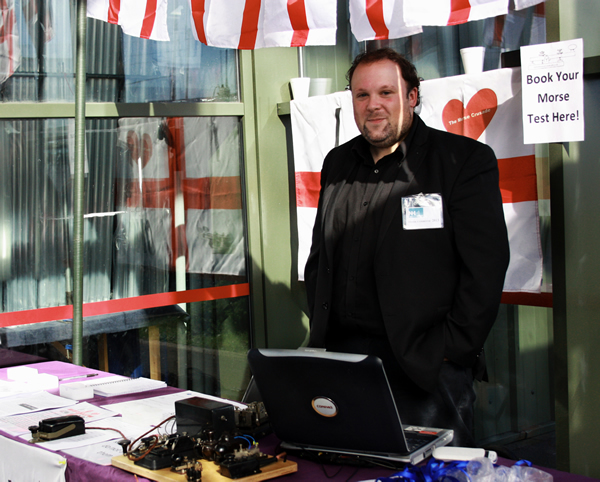 Carl brought added interest to the stand when he set up his Elecraft KX3 and small magnetic loop and started working CW stations from inside the main entrance of the George Stephenson Hall.